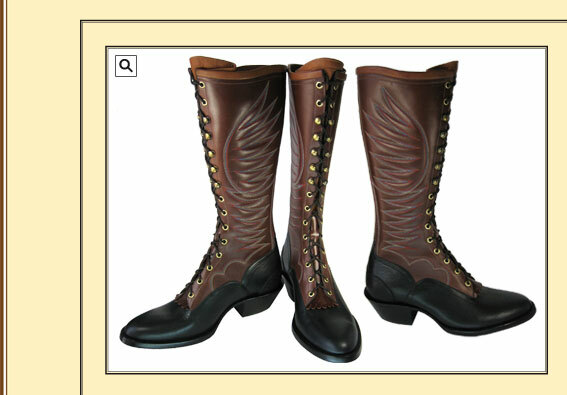 This new addition to our stock boot program has a 15" heavy calf top with multi colored stitching, heavy waxed Buffalo foot 1 3/4" heel with spur ridge and a Bullhide heel guard & medium round toe. Available in D & E widths sizes 8 to 13. Call to check on sizes and colors in stock.